With Fernando Alonso set to race a McLaren-Honda-Andretti at the Indy 500 this year, Luke Smith looks at how everyone benefits - but could the Spaniard win the race? Oh Fernando Alonso, you've done it again. Just when your glittering career filled with success and surprises appeared to be nearing its closing years, you decided to throw another stunning announcement in by deciding you're going to race in the Indianapolis 500. The Greatest Spectacle In Racing. It is one of the biggest in-season bombshells that has been dropped in recent F1 history. Nico Hulkenberg doing Le Mans with Porsche in 2015 was a surprise, sure, but for one of the sport's biggest drivers to bail on its biggest event - the Monaco Grand Prix - for a chance to enter a race in a car that he has never driven before is seismic. Yet everyone in this situation is a winner. It's one of the coolest good-news stories to have broken in F1 of late - and comes at a time when Alonso and McLaren desperately needed one. 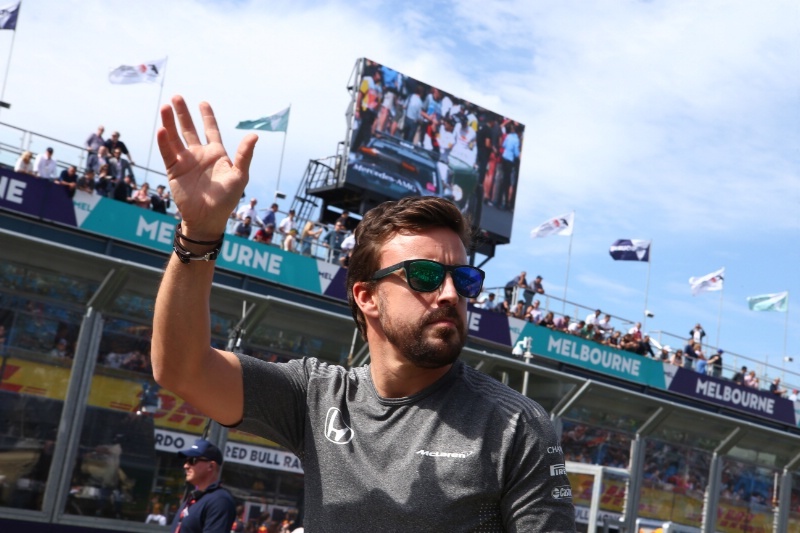 Alonso has previously expressed a desire to race at the 500 as part of a wider push to complete the Triple Crown of motorsport, winning the Monaco Grand Prix (something he did in 2006 and 2007), Indy and the 24 Hours of Le Mans, but it was always expected to be something he did once his time in F1 was up. But no. Alonso will become the first active F1 driver since Nigel Mansell in 1994 to enter the 500, appeasing his all-out hunger for racing. The Spaniard's difficulties with McLaren and Honda so far this year have been clear for all to see, leading to speculation about what his future with the project is. One would imagine that the chance of a shot at the 500 will certainly have gone a long way to easing relations. Because of this, 2017 may not be remembered as the year that McLaren-Honda suffered more woes on-track and left Alonso disgruntled before an unhappy parting at the end of the year. 2017 might instead be remembered as the year McLaren and Honda clubbed together to give Alonso one of the coolest opportunities to arise in recent F1 history, keeping him happy to maybe even stay involved with the project beyond the end of the year. While having one of your star drivers missing the most high-profile event on the calendar may not look good for F1 at first, this could in fact be a big, big win for the sport. Hulkenberg's charge to victory at Le Mans in 2015 with Porsche was one of the best news stories F1 had that year, having one of its drivers go and win one of motorsport's biggest events. If Alonso were to - whisper it - win the 500 at the first attempt with McLaren-Honda-Andretti, it would be a massive story for F1. To make matters even better for the sport, it gives Liberty Media some brilliant exposure in the United States at a time it is looking to strengthen its foothold in the market. Alonso is a big, big name to have on the grid, and will help to get some IndyCar fans more interested in F1. It may even get more American sponsors and companies interested in becoming involved in F1 to some degree. As well as pacifying relations with Alonso, McLaren also has a chance to win some hugely positive PR by wheeling Jenson Button out of retirement. One of F1's most popular drivers, Button called it quits at the end of last year, stepping back into a reserve driver role with McLaren and taking an option on a deal for 2018 should he wish to return. Button has seemed pretty happy in his step back from F1, spending plenty of time in California with his girlfriend, but would surely relish the chance to return at Monaco. IndyCar is also set to benefit greatly from the announcement. The series has been gathering plenty of momentum in recent years, and heads into the coming seasons with a firm plan for its future. More manufacturers are being courted to join Honda and Chevrolet on the grid, while a new, radical look for the cars will be introduced next year. The racing remains fiercely competitive and unpredictable, with big names from NASCAR and sportscars keen to make an appearance. But now arguably the finest driver to have graced F1 in this millennium will be joining the grid along with one of the most prestigious marques in motorsport history. It's a game changer. To see Alonso fighting with the likes of Scott Dixon, Will Power, Helio Castroneves, Tony Kanaan, Josef Newgarden - all drivers that we're left wondering how they would have done in F1 - and even old adversary Juan Pablo Montoya will be a sight to relish. But the big question: can Fernando Alonso win the Indy 500 at the first attempt? Racing on an oval is an experience unlike anything Alonso will have ever done, with some drivers refusing to race on the layouts as they believe them to be too dangerous. IndyCar legend Dario Franchitti said on Twitter it would be a "baptism of fire" for Alonso, getting his first taste of an Indy car at Indianapolis Motor Speedway of all places. It is the most unforgiving oval there is. But Alonso has never shied away from a challenge. He has a natural, all-out ability that few others in motorsport bear, pushing to the limit with every single lap he turns. The chance to do that at 220 mph against 32 other cars will excite him. While there is a lot to learn, Alonso will have time to get his eye in. Following the Spanish Grand Prix on May 14, he will dart overnight to start practice on May 15. 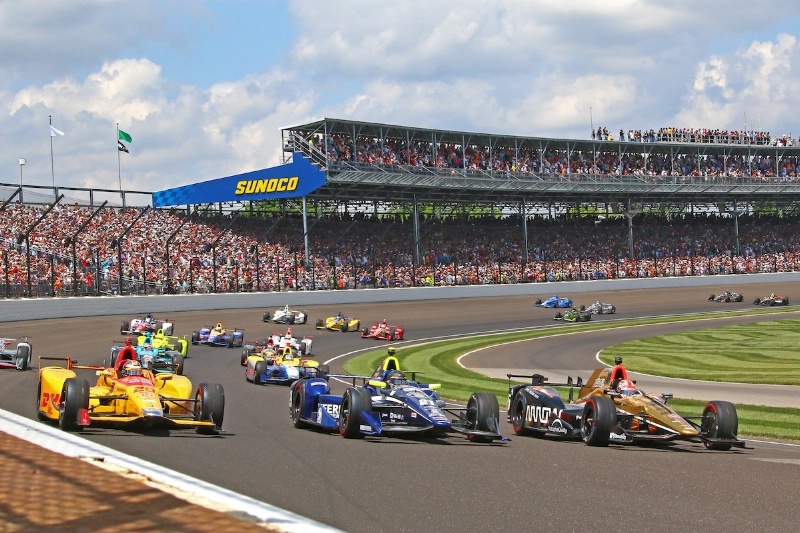 The Indianapolis 500 has eight days of practice in total, plus two days worth of qualifying, meaning he will not be thrown in at the deep end without any running at all. He'll have a chance to get his eye in. And will there be any issues with his Honda engine? Honda is in fact the manufacturer to beat in IndyCar this season, having worked tirelessly over the winter to make up the ground lost on Chevrolet with its aerokit for street and road courses that put it on the back foot through 2016. On the larger ovals such as Indianapolis and Texas, the Honda package was stronger, allowing ex-F1 driver Alexander Rossi to claim a shock victory in the 100th running of the 500 at the first attempt with Andretti Autosport - the very team that Alonso and McLaren will be linking up with. Alonso's best chance of winning a race in 2017 will come in a car he has never driven, on a circuit format he hasn't been on before, and with less practice running than any of the other drivers in the field. Yet it is not unthinkable that the Spaniard will be sipping milk in Victory Lane on the afternoon of May 28, toasting his greatest career success in over 10 years.